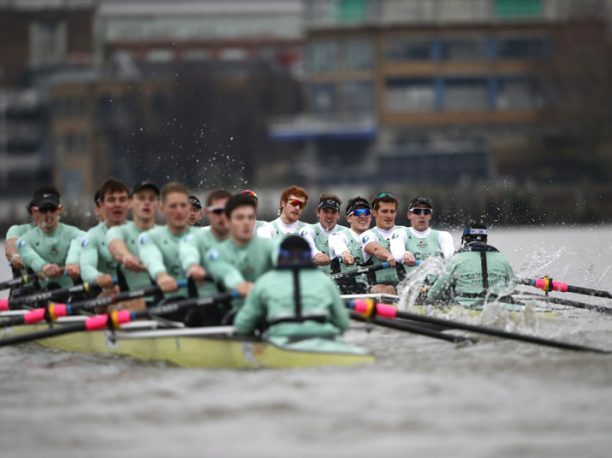 The dates for Trial Eights have been confirmed, as the four Clubs look to continue their preparations for The Cancer Research UK Boat Race 2018. Cambridge University Boat Club and Cambridge University Women’s Boat Club will both have their Trial Eights taking place on Tuesday 5th December 2017. The CUWBC Trial will begin at 12:45 whilst the CUBC Trial will begin around an hour later at 13:55. The media centre will open at 10am and close at 15:30. Oxford University Boat Club Trial Eights will take place the day after, on Wednesday 6th December. The media centre will open at 10am and the race will begin at 13:50. Due to injuries, Oxford University Women’s Boat Club have had to delay their Trial Eights. These will now take place on Sunday 21st January, at 14:30. The annual Trial Eights form a crucial part of The Boat Race season. It is the only official opportunity that the athletes will get to race the full length of the course, thus representing an important learning curve for new triallists. In addition, the coaches are given an indicator of how their athletes fare under the unique pressure of match racing and unpredictable Tideway conditions. Media are now invited to apply for accreditation by completing the form here >.